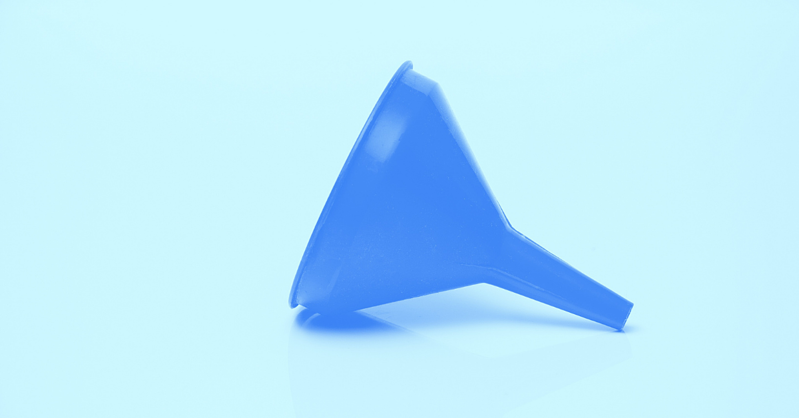 Have you ever heard of a tiny marketing funnel? I’d be surprised if you had as they are my own creation. I invented tiny marketing funnels out of necessity after hearing from hundreds of independent financial planners about their struggles marketing their firms. For many advisors, confusion, overwhelm, and blind attempts are the norm when it comes to marketing. Clarity, direction, and motivational curiosity are not. Tiny marketing funnels are a great way to overcome the overwhelm and head towards clear action. Before we explore how tiny marketing funnels can set you on the path to marketing success, let’s start with the basics. What is a tiny marketing funnel? In essence, a tiny marketing funnel (TMF) is a single direct path a marketer creates to guide people from initial awareness all the way to becoming a prospect. Each step in the TMF experience is defined, designed, and can be measured. Tiny marketing funnels are not comprehensive, dynamic, complex funnels; they focus on guiding some percentage of viewers through a single direct path with clearly defined steps. What matters is not that every person completes every step in the exact order your TMF intends, but rather that you’ve designed a single thoughtful path that you know guides people clearly, intentionally, and with empathy. Help you focus. Marketing can feel overwhelming. There are countless variables and moving pieces in a comprehensive marketing strategy. However, when you create and manage a TMF, you’re able to snap out of overwhelm and focus on a single experience some people will have. Are actionable for you. When designing a TMF, you know all of the intended steps and you can see what work needs to be done. Once the TMF is in place, you know which steps are automated and which require maintenance. Are clear for potential prospects. You took time to design an experience for their wants/needs, and you created a series of clear steps they can take. Potential prospects who experience your TMF don’t ever meet a “dead end” and fall out of the funnel because TMFs guide them clearly. Are motivating. There’s something powerful about imagining a single person going through your thoughtful, guided steps. Once advisors know the TMF they want to design, I’ll start receiving emails from them at 11 PM because they’re working late, excited to get their TMF into place. Are measurable and therefore easier to improve. Defined steps = easier measuring. Once the TMF is live and running for a while, you will be able to measure the activity at each step, calculate the conversion to the next step, and then identify specific areas you want to improve. Survive busy times. Whether it’s tax season, a two-week family vacation, or a period of time when you have an influx of prospect meetings filling up your calendar, TMFs survive. With clarity regarding what is automated and what needs continual maintenance, you’ll be able to either prioritize these actions in your calendar or delegate them in the busiest of times. Can create the backbone of your marketing strategy. I have seen this benefit in successful advisors who inadvertently implemented TMFs for their firm. Experimenting with a few TMFs can often lead you to a “winner” that drives strong lead flow and becomes the backbone of your marketing strategy. Thought of another reason TMFs will be valuable for your firm? Drop me a line. I’d love to hear your perspective. If you can imagine one person, the messages they want to see before meeting you, and the specific steps they usually take (from start to finish, initial awareness to booking the prospect meeting), you nearly have your first tiny marketing funnel. To create your first TMF, grab a scrap piece of paper. Write down either (1) a common way you meet new potential prospects, or (2) a piece of marketing collateral that prospects say impacted their decision to work with you. This is your anchor. Mark it with a star. You will build from here. I like to anchor a TMF around something that is already successful for advisors because it’s easier to design around an asset that delivers results—you’re that much more likely to see strong numbers sooner. If you need to start with something random because you haven’t learned much from your marketing yet, that’s okay. Just know it is more challenging. Below your anchor, write down (a) what might happen after it. Above it, write down (b) the steps that can lead a prospect to the anchor. Don’t stop until your imaginary prospect has progressed from initial awareness/exposure all the way to the point that they sign up for a prospect meeting. We start to see our responsibilities with this TMF: strengthen SEO of blog posts, continue writing blog posts, insert CTAs on blog posts that encourage readers to follow the firm’s Facebook page, continue to post on Facebook, offer monthly webinars and promote on Facebook, host valuable webinars, automate follow-up emails after webinars that feature “My Story”, ensure the “My Story” webpage guides people to check out the Services webpage, and so on. You can choose to stop outlining here, but I will show you how to strengthen it further. When I create a TMF, I thoroughly brainstorm key elements I want to create in my funnel and outline as many details as needed to paint a full picture of what each prospective client will experience. This helps ensure I’m properly guiding them, hitting all the key points, and that I know exactly what I need to create to make it happen. I note the core message shared at each step. This is usually a single sentence that gets straight to the ultimate point. Time is a major factor. What is a realistic time frame between each step? This will help you manage your expectations, insert reminders or extra nurturing steps when you see time frames are long, and also know the cadence at which you will collect stats to measure the most accurate conversion rates. Highlight steps that require routine attention. Each step in the TMF will either be automated or actively maintained by a human. Get clear on what routines are required and don’t drop the ball on those. Create as many tiny marketing funnels as you’d like. There may be many paths your ideal prospect take, so you may feel compelled to create multiple TMFs. I do encourage you to start with one though and only build your next TMF when the previous flow is thoroughly complete and launched. Want help creating your tiny marketing funnel(s)? 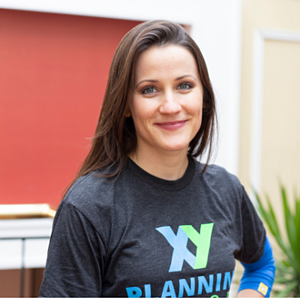 Learn more about my private coaching services, exclusive to XYPN members.